4.2 oz. 100% combed ringspun cotton. 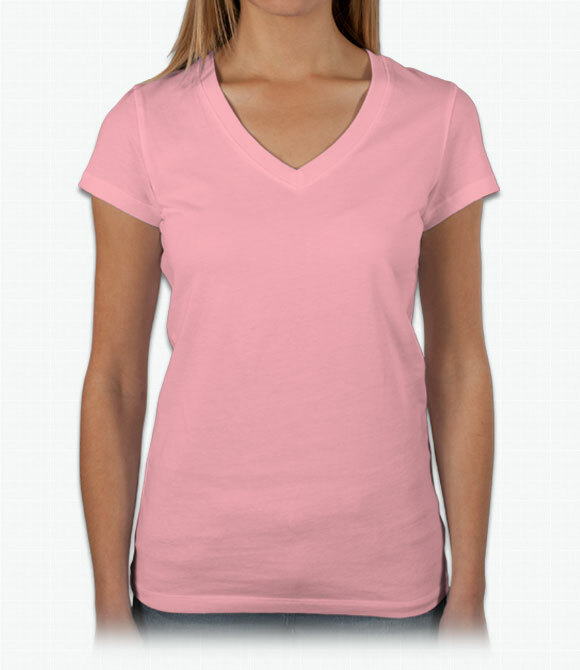 The Bella T-shirt reinvented with a comfortable set-in V-neck. Super soft baby jersey knit, contoured sideseams flatter the figure. Slim fitted, high quality, V-neck shirt from a trusted brand. We recommend ordering at least one size up as Bella products run smaller than other brands. "Quality great! Comfort great! The brand of tees (Bella Canva) run super small. So while I’m a M (unisex), I’m an XL in that brand. Will account for that in the future and change size distribution upon ordering. Short of that when I opened the package and saw Bella canvas was the brand I was stoked!" "The tshirts were for a cancer survivor. She's doing "outrageously well" per her doctor and I wanted to remind her of that. She loved both of the tshirts. Well done!" "Great quality shirt! Nice and long. Not the type of shirt that stretches out easily or is short and rides up. Exactly what I was looking for! "